Our specialization and expertise has long been guided walk-and-wade trips for migratory trout, salmon, and steelhead. Niagara River guided fishing along with Huron and Bruce county rivers, Saugeen River, Grand River, Lake Huron and Lake Ontario are the main focus of our fishing trips. The utilization of boats, drift boats and kayaks has brought unlimited potential to our guided fishing operation. 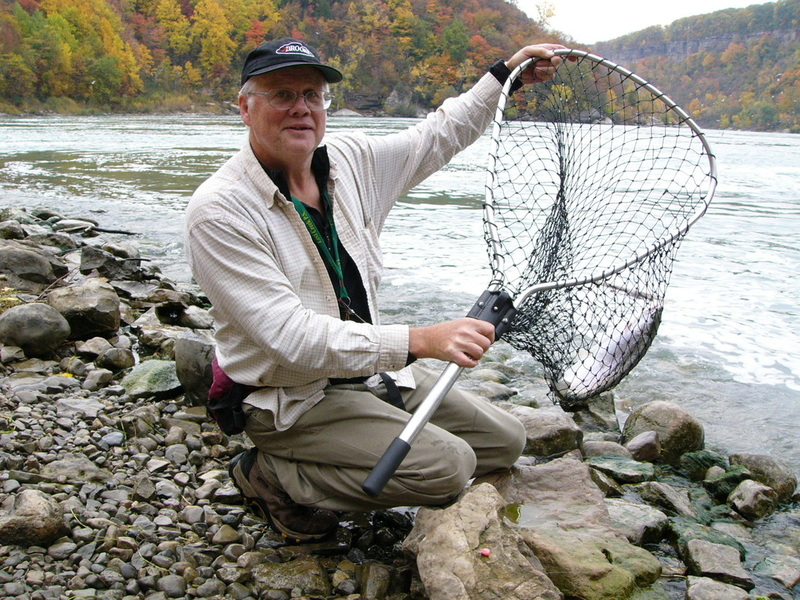 ​Jeff Wall is the fishing guide at Nomad Adventures and he enthusiastically shares his 35 plus years of Great Lakes and river fishing experience with his clients. 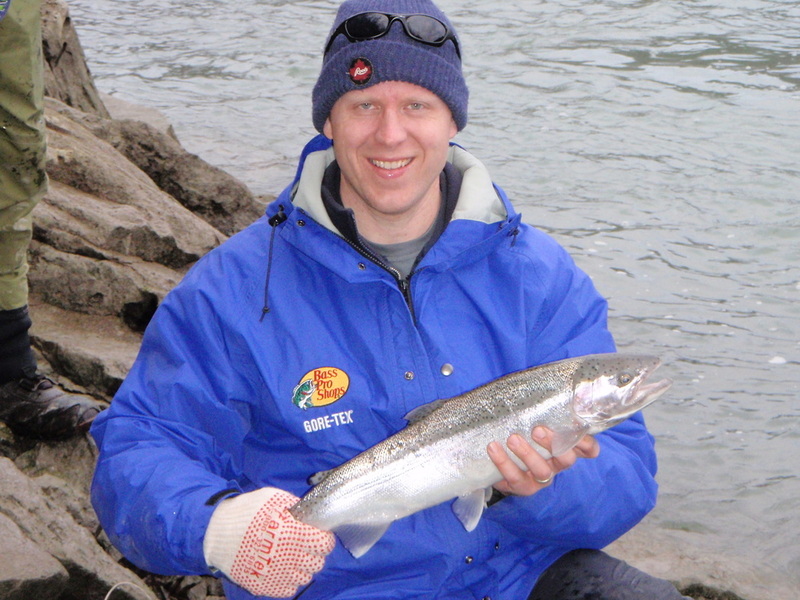 Jeff is an accomplished salmon, steelhead, and trout fishing guide. He guides Southern Ontario rivers and the Great Lakes chasing migratory trout, resident trout, salmon, steelhead, smallmouth bass, and various species from boat, drift boat, kayak, and shore. Growing up with the Maitland River at his doorstep, combined with regular trips to the Saugeen River and all the surrounding creeks, Jeff offers a unique variety of fish and fishing experiences to his clients. Aside from from conventional gear fishing, he has also been centrepin, float fishing, fly fishing, and fly tying since the early 80's. 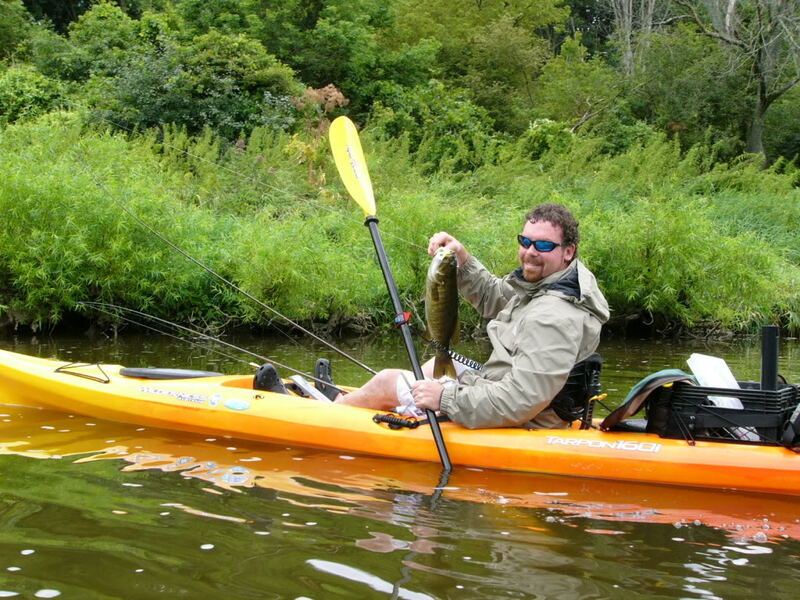 ​Jeff actively helps grow Kayak Fishing in Ontario, and in Canada as a whole. 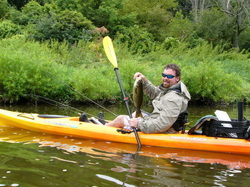 He runs kayak fishing trips on Southern Ontario Great Lakes, inland lakes and rivers. He has also pioneered the Ontario Kayak Fishing Series/Ontario Kayak Fishing Classic and River Smallies tournaments, the first two freshwater kayak fishing events in Canada. 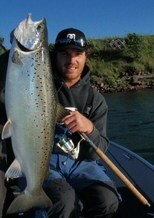 Tyler Dunn Guiding of Sault Saint Marie is our partner for premium Northern Ontario trips. He is a specialist for Atlantic and Pacific Salmon, Steelhead and trout in his home waters of the Soo Rapids. Tyler is also well known for trips to Nipigon for Speckled Trout, Pike and Walleye. He is an excellent resource for steelhead on Lake Superior rivers, trout in Lake Superior Provincial Park, and many other waters north of the Soo. ​Tyler is a known outdoor writer who has many published articles on fishing in Ontario and Northern Ontario. He writes multi-species articles specific to each of the many regions and seasons he knows. 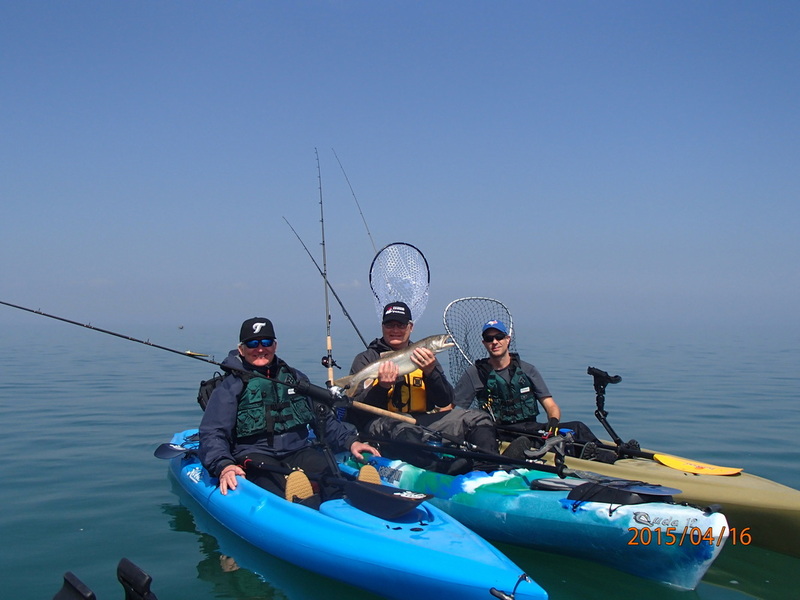 Ontario Kayak Fishing Series, Lake Ontario Salmon: Aug/Sep? "Had a great day on the water with Jeff. We are rookie kayak fisherman and Jeff did an excellent job of teaching us the basics and helping us hook into some coho’s, lakers and even a brown trout. We would not hesitate to go out with Jeff again or recommend his guiding service to others. 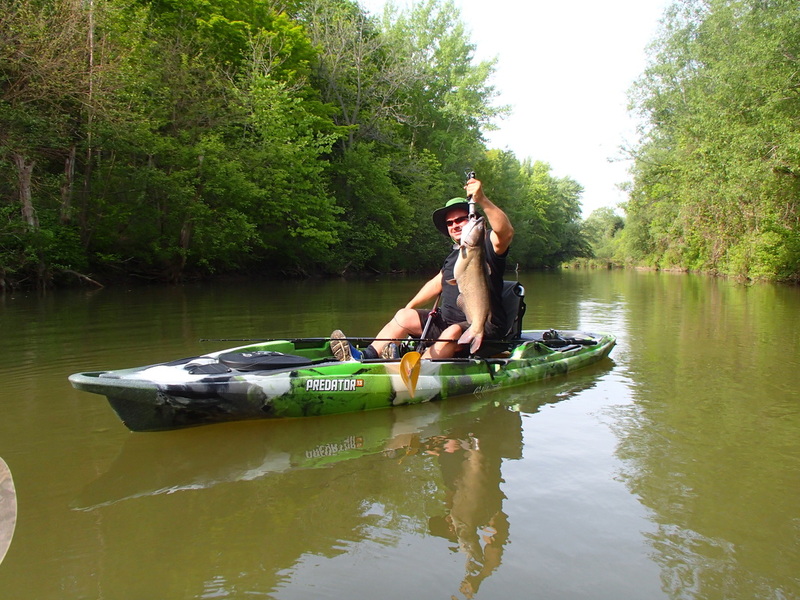 We are also looking forward to taking part in some of the Ontario Kayak Fishing Tournaments this summer." - Mike, John & Sean. "I just wanted to say a big THANK YOU to Nomad!!! He dropped me an invite to this tourney and I am so glad that I could make it. Jeff hooked me up with an excellent kayak and proceeded to take me and another friend of his down the mighty Maitland. I had grown up as a young kid, fishing the Maitland and had never done anything but wade or fish from the banks. Jeff gave us excellent instruction on how to fish from a kayak and how to fish the Maitland for smallmouth bass. It has opened a whole new world to me!! !